Nothing to do but move-in! 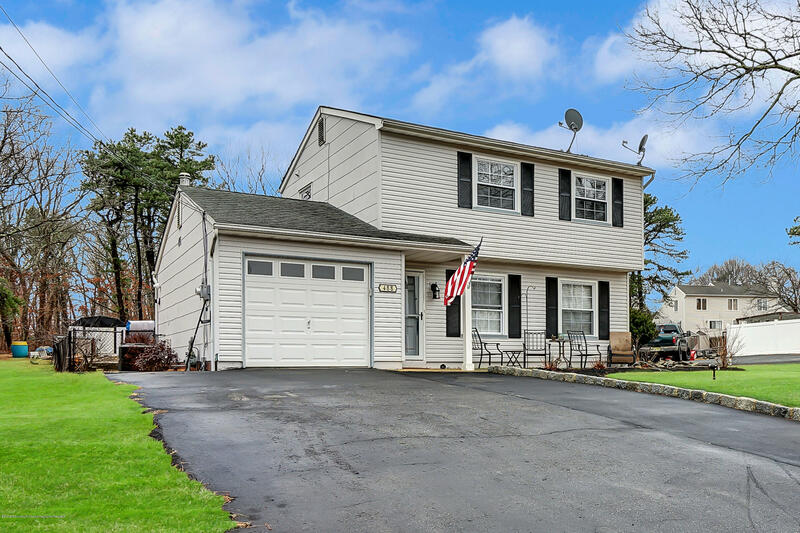 This immaculate 3 bedroom 2 story Colonial features 1.5 baths, direct entry garage, updated kitchen w/ butcher block counters & custom backsplash, formal dining w/slider to deck opens to living room, hardwood flooring, laundry/utility room with access to the yard. 2nd level is 3 bedrooms & full bath with tub/shower. This great home will be the place to be in Summer, nestled on a spacious & oversized 60x168 property complete with in-ground salt-water swimming pool & plenty of room for entertaining! Located on a quiet dead-end street while very close to shopping, dining & the GSP, other updates in recent years include tankless water heater, furnace/central air, pool filter & more, don't delay!